My name is Thomas Murphy. 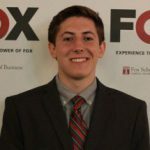 I am a Junior Management Information Systems Major at Temple’s Fox School of Business. My goal is to become a business analyst upon graduation. This is my E-Portfolio!